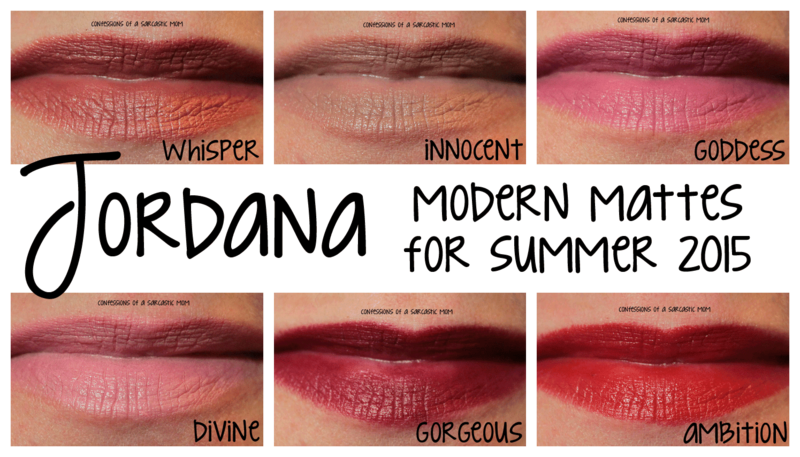 You guys remember how much I loved the original wave of Jordana Modern Matte lipsticks, right? I still reach for those a majority of the time. 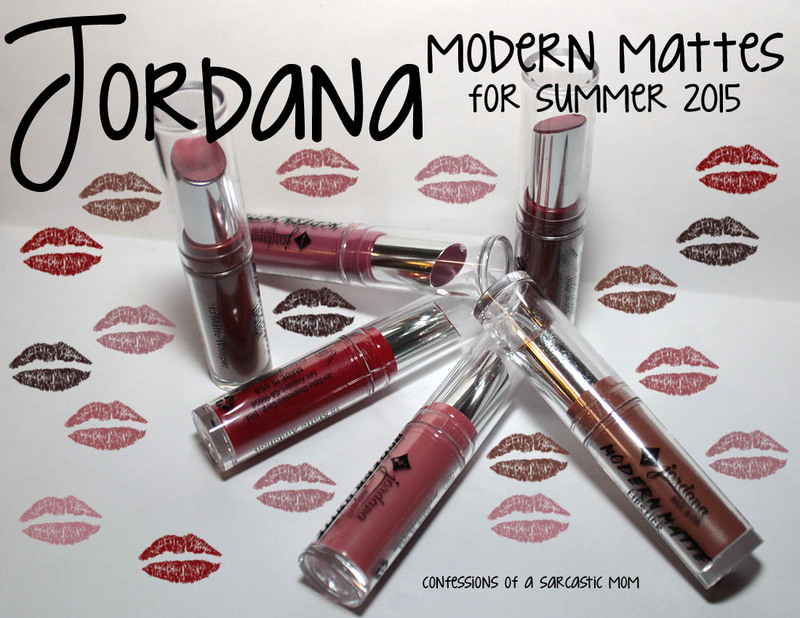 Did you know there are 6 new Modern Mattes? Well, there are, and I've got them! These 6 range from neutral to darker shades, and they are all excellent quality! I wear these Modern Mattes a lot. First thing to know: This finish isn't totally matte. It's more of a flat vinyl finish. While matte is still my favorite lipstick finish, I do like the finish on these. They last for 6 hours on me, at least, Between the original line-up, and these new ones, I have colors for every day and event! 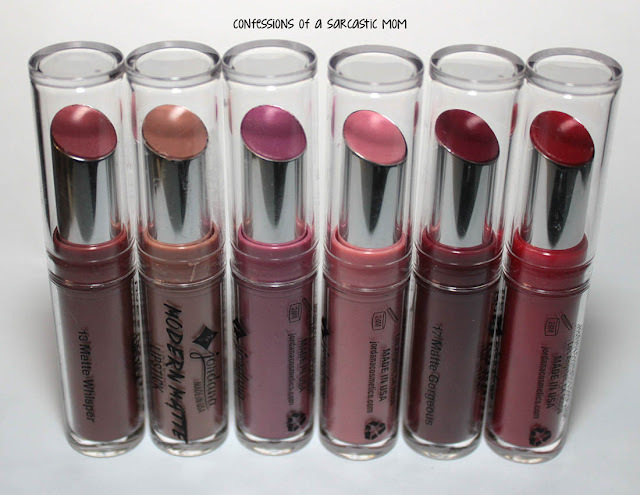 Below are swatches of each of the 6 new colors on my lips. I just love the way 5 of them look on me. I'm kind of iffy about Innocent. I think it makes me look a little grey. I will be one I use as a base with a gloss or another color! Need a collage of all the colors to pin? Try this one! I don't make these very often, so I don't normally have the option on my blog. But here it is if you want it! At a price point of $2.99, these lipsticks are more than worth their money. I highly recommend them! I also hope that if you do buy them, that you have the same experience that I have with them. You can buy them wherever Jordana is sold or on their website.